Darkfall Online: A groundbreaking subscription based Massively Multiplayer Online Role Playing Game for the global market of online games. Darkfall went live on February 25th 2009. It's published in Europe by Audiovisual Enterprises and self-published by Aventurine SA in North America. 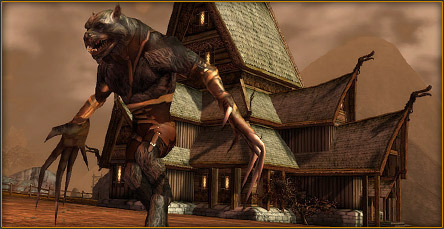 Most of Aventurine's resources are dedicated to the continued development of Darkfall and the release of free massive expansions to the game at regular intervals. While Aventurine was formed to create Darkfall, along the way they chose to benefit from quick partnerships that allowed them to research and create technologies they wanted to use in the game. - Partnership with defense contractor Kestrel Information and development of a real-time GIS security application for tracking commercial vessels in Greek territorial waters. The application is used by the Hellenic Coast Guard. - Design of 3D real-time systems for the management and dissemination of geospatial data for military C4I systems. The current status of this project is classified. - Consultants in a number of military and civilian projects. -	An undisclosed online game project in the planning stages. -	Technology licensing to a spin out company for the creation of a Massive Multiplayer Game. At this time, no more information is available on the projects above but keep checking this space for more information in the future.